Sugar is no joke, says a lawsuit that accuses the Coca-Cola Company and the American Beverage Association of downplaying the health risks of sugary soda. 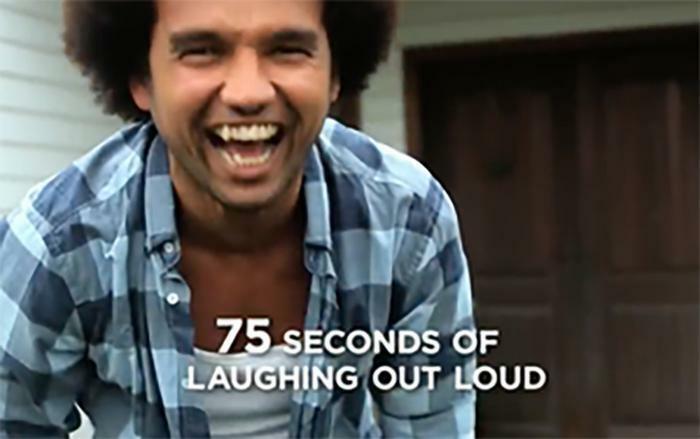 The suit, filed by the nonprofit Praxis Project, takes issue with commercials that claim even small amounts of exercise -- like laughing for 75 seconds -- can negate the effects of the sugar in a 12-ounce can of regular Coke. The Praxis suit says the commercials are deceptive. “From the 1950s until the late 1990s, the tobacco industry engaged in an elaborate campaign of disinformation to cast doubt on the science connecting cigarettes to lung cancer and other diseases,” said Maia C. Kats, litigation director of the nonprofit Center for Science in the Public Interest, which is providing legal counsel to Praxis. “Today the soda industry is engaged in its own campaign of disinformation to cast doubt on the science connecting sugar-sweetened beverages to obesity, and obesity-related diseases like diabetes and cardiovascular disease." Praxis describes itself as "a movement support intermediary committed to capacity building for social change." CSPI is a longtime crusader for safer food and beverages. The video notes that the “140 happy calories” in a 12-ounce can of regular Coke can be spent on “extra happy activities” such as 25 minutes of dog walking, 10 minutes of dancing, or 75 seconds of laughing out loud. Coca-Cola called the suit “legally and factually meritless.” In a prepared statement, the company said: “We take our consumers and their health very seriously and have been on a journey to become a more credible and helpful partner in helping consumers manage their sugar consumption." The suit was filed in a California federal court Wednesday.